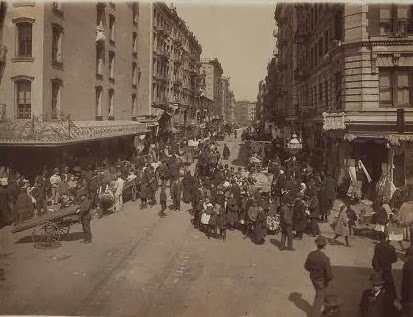 Last Thursday's postcard of the week was this view of the Lower East Side, simply labelled "The Ghetto, New York." While the cross street is clearly labelled as Rivington, we were unable to deduce what other thoroughfare was being depicted. We got a few good guesses in our inbox, but nothing that seemed quite right. 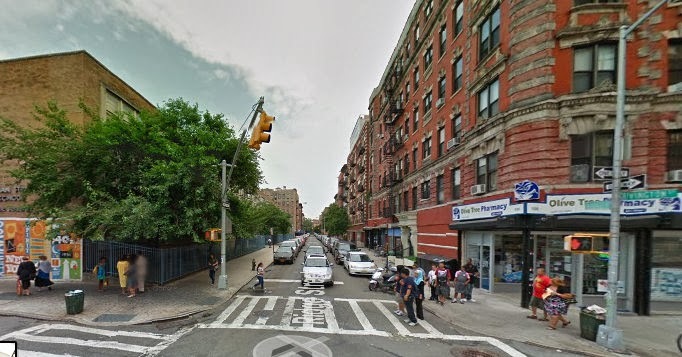 So, we turned to Don Rogerson, author of Manhattan Street Names Past and Present to see if he knew anything--and lo and behold, he was able to almost immediately identify it as Ridge Street, noting that the building on the right side of the postcard is still there. Notice in the closeup that the building on the right, which looks to be limestone in the postcard, is actually brick. 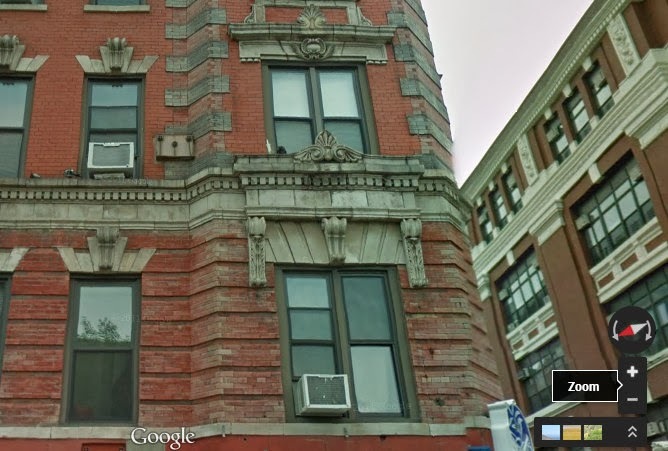 And when you compare the architectural details--such as the window lintels--between the old photo and the building today, it's clear that this is the same structure. 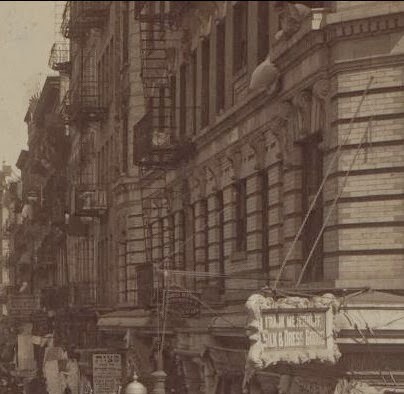 According to the New York Public Library, the view in the postcard is looking north toward Houston Street, taken ca. 1905. Another reader noticed a point that needed clarification in the original post. We referred to Julius and Ethel Rosenberg as "alleged" spies. That was merely to indicate that on March 6, 1951 (the date they went on trial, which the post was commemorating) they had only been accused of being spies. Of course, by the time the trial ended they were convicted spies.